We are proud that one of the companies using AdCumulus technology is ClickAttack. Our partner is a real success story in SEE region as leading mobile advertising network operating in 8 countries. They connect advertisers, agencies, mobile publishers and developers. And this connection is beneficial for everyone. 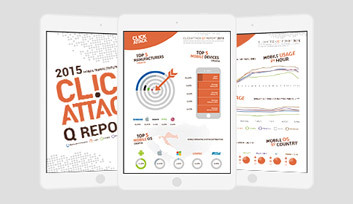 ClickAttack helps agencies and advertisers to earn both market and mind-share from their target groups by presenting engaging and interactive highly targeted mobile ad campaigns, while at the same time allowing publishers and developers to monetize their inventory through banner impressions. One of the best things about mobile advertising, as people at ClickAttack say, is that brands can target specific audience and serve ads only to them. For instance, this mobile ad network uses almost every targeting options we provide as an ad serving solution: geo-targeting, mobile operator targeting, day and time, network access, specific devices and mobile OS. By doing this, you don’t waste time and money on people who are not your target group, and the ability to target the right audience is the key. Being the largest advertising network in SEE region, ClickAttack serves more than 10 millions impressions monthly and thanks to our ad serving solution they are able to do this flawlessly. ClickAttack’s Q report confirms that mobile is taking over the world, showing that more and more people are using mobile phones for everyday activities, making them perfect for an advertising audience. The overview shows that people in the region use their mobile phones the most around 6PM on Saturday and that the most used operating system is Android. It also serves as a benchmark for campaign success. By utilizing those insights, advertisers and agencies are equipped with better tools to optimize their ad investment and choices. But, we won’t leave you with that information. Download the full report here and find out more!